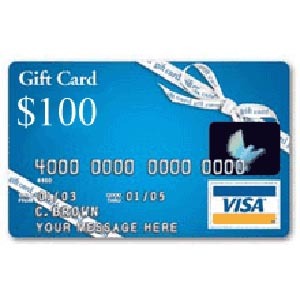 $100 Visa Gift Card #Giveaway CLOSED! Ok, so I have to pull the guns out! I did not think I would have to do this but it seems that is how my competitors are beating me!!! As most of you know I am in a tough competition. I am in the Chrysler Blogger Face Off and the ladies I am up against are some of the greatest out there!!! I need votes, we need to win! If I win then you my readers win!! How is that? Well if I win the blogger prize then you will get a giveaway for a iPad2, yes a iPad2 from the sponsor. To give you guys a little incentive to vote and spread the word, I will give one of my amazing readers a $100 Visa Gift Card for getting those votes in for me!!! Vote for Katie Sexton in the Chrysler Blogger Face Off!! Please leave me your email with this entry! These are all daily entries that you can get!!! Also make sure you keep track of your efforts because if I win your efforts will get you extra entries in the iPad2 giveaway!!! This giveaway will close on March 7 at 10pm! This is open to both US and Canada!! Shared on fb #2Gladys Psps1113 at yahoo dot com hey where did #1 go??? I voted for you –> you have more than 26% of the votes! I voted! Good luck to you! I shared on FB (Journeysof TheZoo). swak50 at hotmail dot com #2http://www.facebook.com/permalink.php?story_fbid=314910515235132&id=100003273512050#!/permalink.php?story_fbid=281337381936607&id=100003273512050Hope you win!